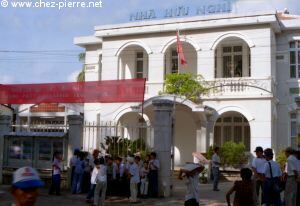 The friendship house, our usual rendez-vous. 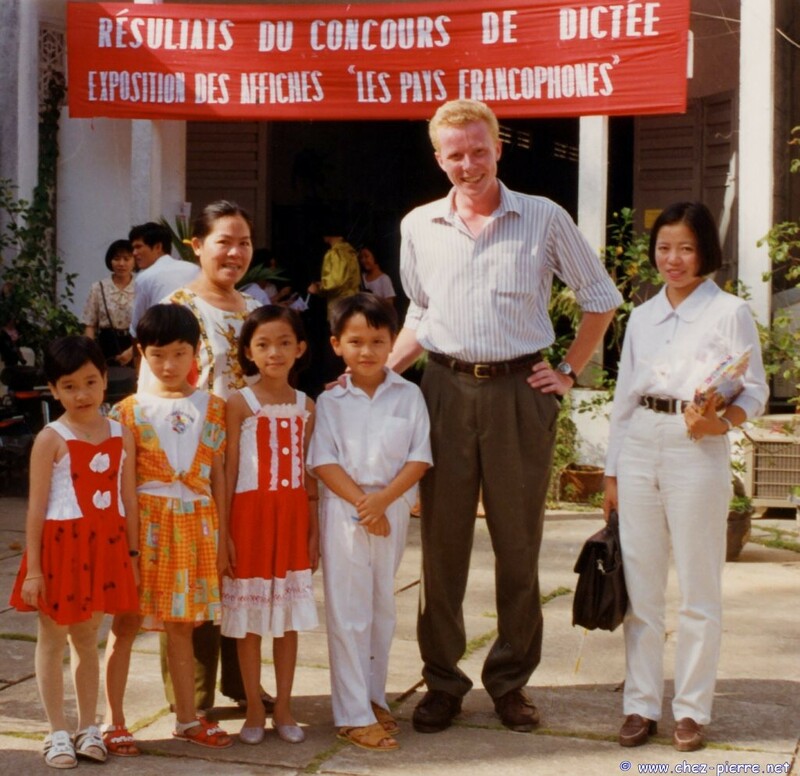 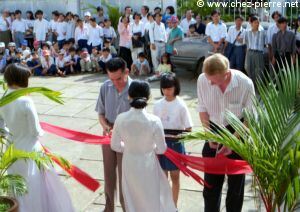 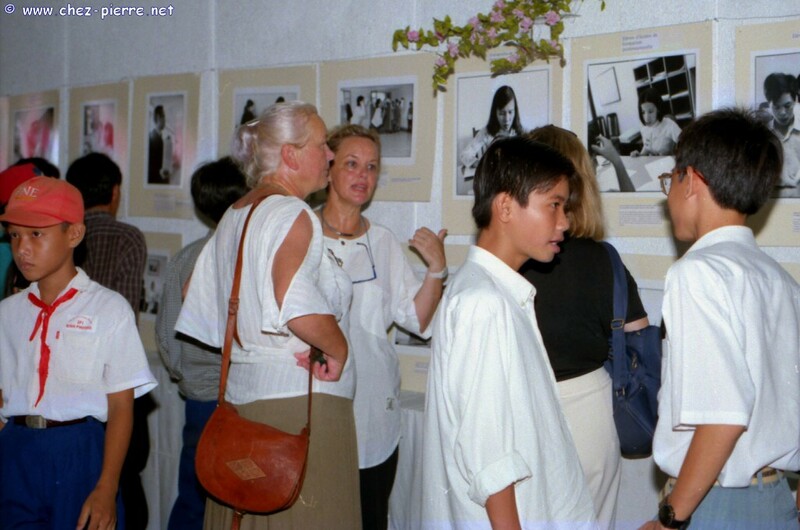 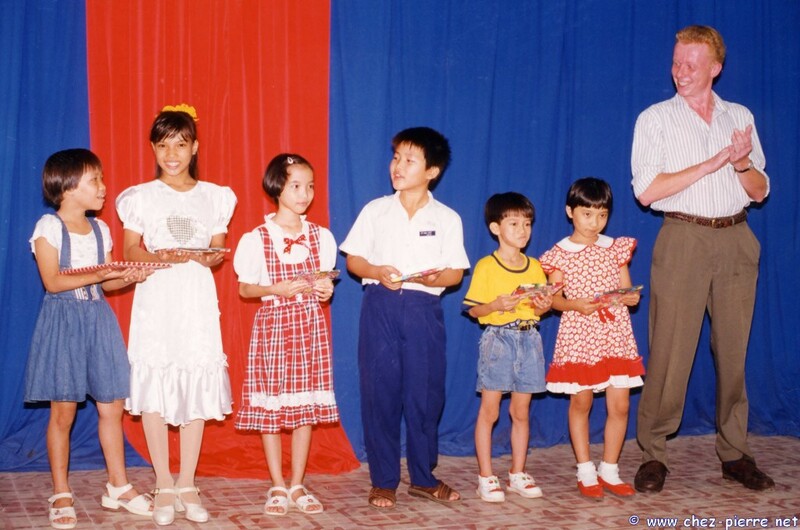 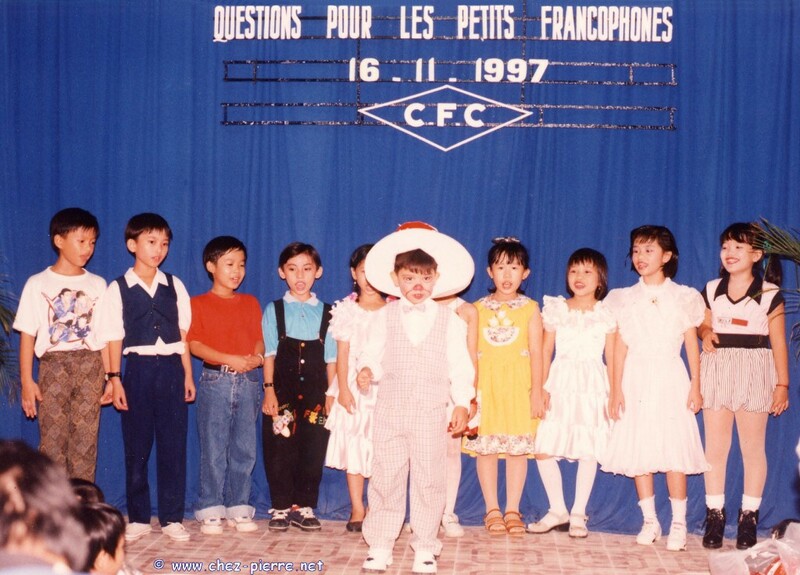 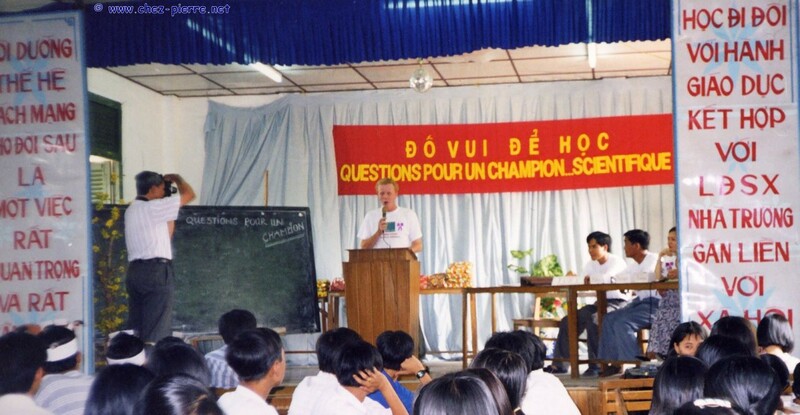 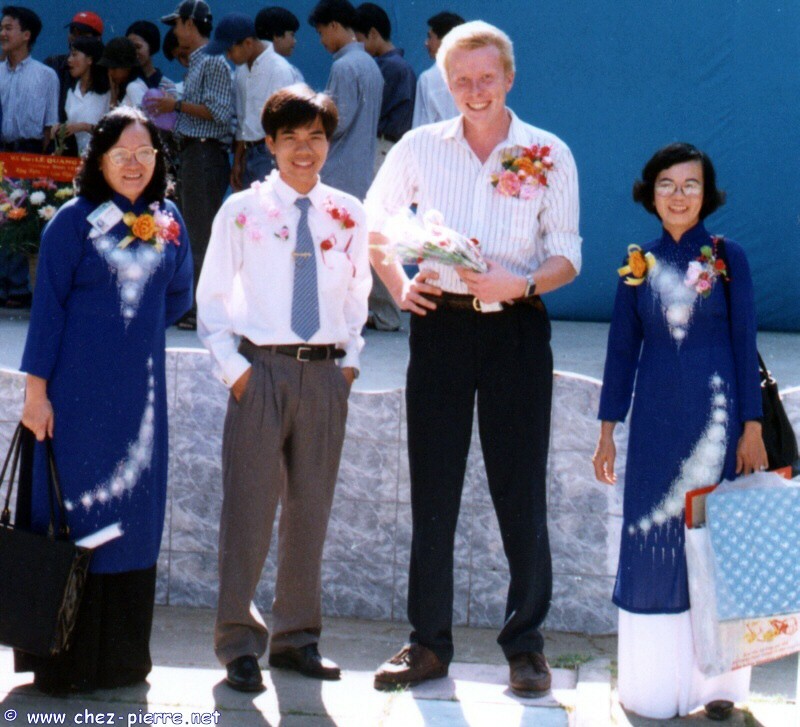 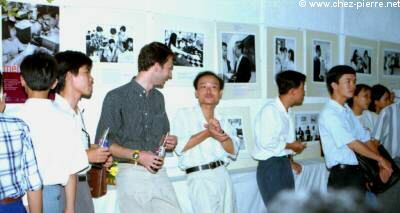 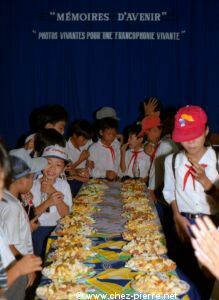 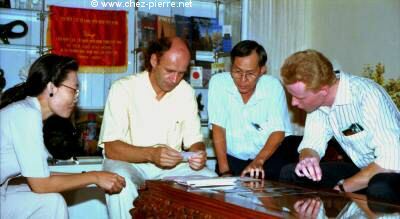 Fortunately this time, with my friends and colleagues from Chau Van Liem High School in Can Tho, on Teachers' Day, 1997. Woah ! 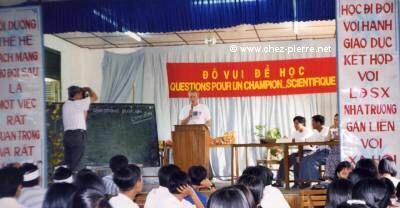 Mr. Pierre asks tough questions on these posters ! 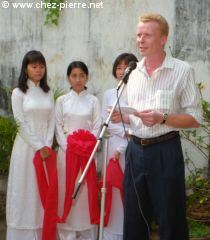 Some of the winners of the writing contest. 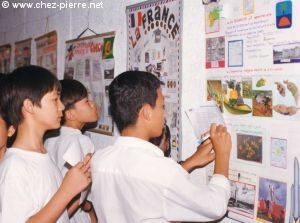 These activities are communication opportunities between French speakers and our students. We even have French speaking tourists stopping by and talking with the teachers. 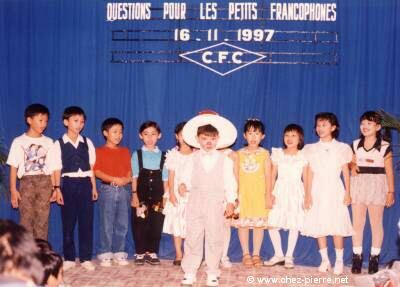 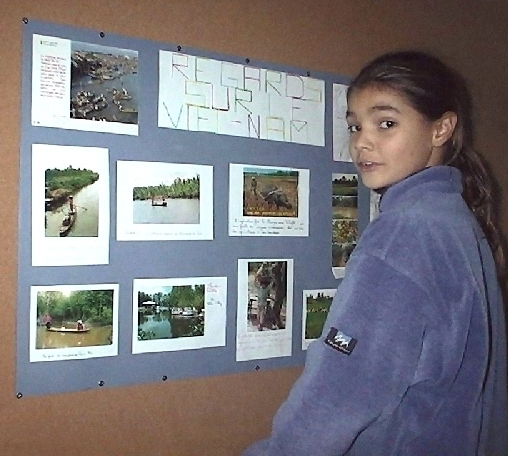 For one year, several classes had pen pals in Surgères, France. 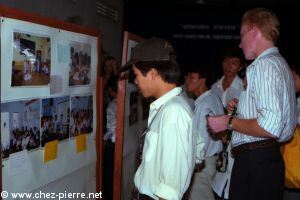 As you can see, the French students realized an exhibit with the materials (photos, documents...) they received from Vietnam.